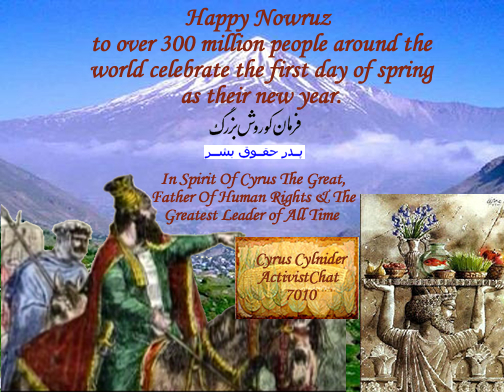 "On the eve of the new year, I appeal to the noble Iranian people on behalf of the ancient Jewish people and urge them to reclaim their worthy place among the nations of the enlightened world," said President Shimon Peres in a special address broadcast on Israel Radio in Farsi ahead of the Iranian holiday Nowruz, that symbolizes the start of spring and a new year. "Our ties with the Iranian people have known days of prosperity even in these modern times, when we shared with you our experience in agriculture, scientific and medical developments and we worked to develop the best of ties with you," Peres recalled. "Unfortunately, these days, the relations between our countries are at a low that stems from the impulses leading the current leaders of your country to act against the State of Israel and its people in any way possible." Peres, who was also interviewed on a number of matters pertaining to Iran, reminisced of his visit to the Islamic Republic in the time of the Shah, and commented on the state Iran is currently in: "There is major unemployment, serious corruption, a lot of drugs and dissatisfaction there. "Children can't be fed enriched uranium for breakfast, they need a real breakfast, and you can't invest the money in enriched uranium while telling the kids to stay a little hungry and a little ignorant." In his message, Peres tried to appeal to the Iranian people by presenting his view on thier leaders: "I see the suffering of the children and I ask myself, why? This is a country that is so rich with such a rich culture, why do they let a few religious fanatics take the worst path in the eyes of God and in the eyes of man? "Therefore, I look at Iran on the one hand with admiration for its history, but on the other hand with grief for what has become of it and in hopes that it will recover." Sources from the President's Residence said the special greeting was recorded, among other things following a suggestion made by senior diplomatic sources in Jerusalem. Part of the audio message was even read out in the Farsi language. the Iranian people will bring down the extremist leaders "who are not serving the people". The president then commented on Iranian President Mahmoud Ahmadinejad's denial of the Holocaust, saying, "Since when is he an expert on the Jewish Holocaust? Was he in Auschwitz? What does he know? All he does is speak and speak all day long." "The leaders should let people live, let women breath, let the economy grow, and stop spending their days dealing with bombs and uranium � is this in the name of God? Is this what Allah asked of them?" Peres wondered. 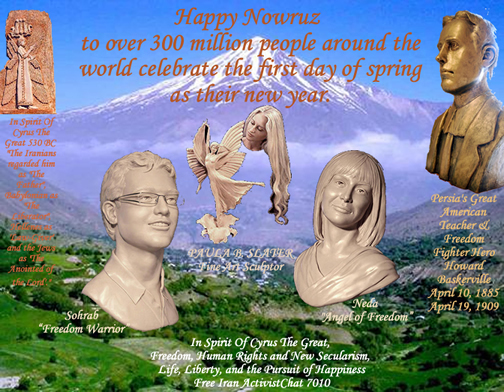 In response to President Obama's "Nowruz Message" to the Iranian people, TNR assistant editor James Kirchick offers his own celebratory New Year's address. Posted: Wed Mar 25, 2009 10:06 am Post subject: Will Obama Listen to Iran's Bloggers? View of Earth rising over Moon's horizon taken from Apollo 11 spacecraft. Description: This view of the Earth rising over the Moon's horizon was taken from the Apollo 11 spacecraft. The lunar terrain pictured is in the area of Smuth's Sea on the nearside. Coordinates of the center of the terrain are 85 degrees east longitude and 3 degrees north latitude. Khayyam (May 1048 - Dec 1122) was a Persian poet as well as a mathematician and astronomer. He was an outstanding mathematician and astronomer. His work on algebra was known throughout Europe in the Middle Ages, and he also contributed to calendar reform. Khayyam measured the length of the year as 365.24219858156 days. Two comments on this result. Firstly it shows an incredible confidence to attempt to give the result to this degree of accuracy. We know now that the length of the years is changing in the sixth decimal place over a person's lifetime. Secondly it is outstandingly accurate. For comparison the length of the year at the end of the 19th century was 365.242196 days, while today it is 365.242190 days. Copernicus, Nicolaus (1473-1543), Polish astronomer, best known for his theory that the sun is at rest near the center of the universe and that the earth, spinning on its axis once daily, revolves annually around the sun. See Astronomy; Solar System. Galileo (1564-1642), Italian physicist and astronomer, who, with German astronomer Johannes Kepler, started the scientific revolution that flowered in the work of English physicist Sir Isaac Newton. 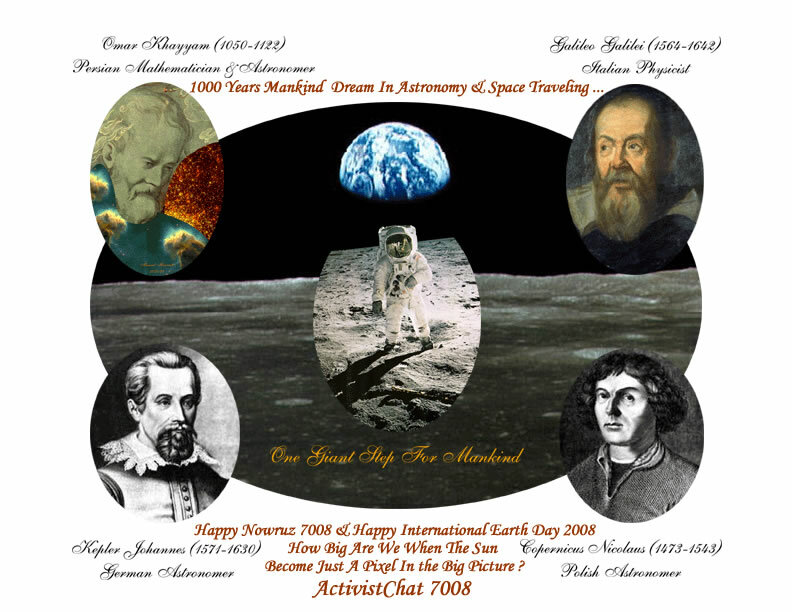 In the history of culture, Galileo stands as a symbol of the battle against restrictions on freedom of inquiry. Kepler, Johannes (1571-1630), German astronomer, born in W�rttemberg, who formulated and verified the three laws of planetary motion, now known as Kepler's laws. The moon has been the object of man's curiosity for perhaps a million years - as long as he has been on earth. Wernher von Braun stands at his desk in the Marshall Space Flight Center, Huntsville, Alabama, in May 1964, with models of rockets developed and in progress. Dr. Wernher Magnus Maximilian Freiherr ('Baron') von Braun (March 23, 1912 � June 16, 1977) was the second son of a German nobleman and high official in the Weimar government (who resigned when the Nazis took power). He became one of the leading figures in the development of rocket technology in Germany and the United States. Wernher von Braun is sometimes said to be the preeminent rocket scientist of the 20th century. Khayyam (May 1050 - Dec 1122) was another Iranian Pillar of Wisdom, the most outstanding and greatest Iranian mathematicians, astronomers, Scientist, Philosopher, and Poet. An English scholar by the name of Edward Fitzgerald translated nearly 600 short four line poems of Khayyam called Rubaiyat and brought him fame and world recognition. He was the father of Algebra. His work on algebra was known throughout Europe in the Middle Ages, and he also contributed to calendar reform. 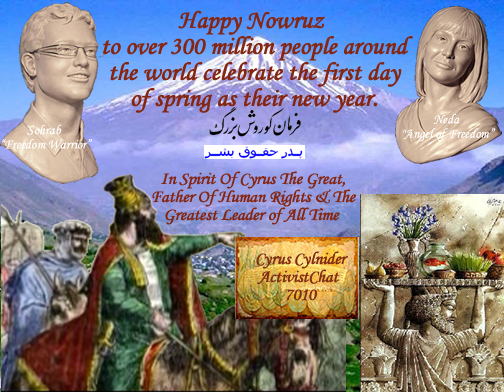 If we consider the Persian Poems as master of encryption by great thinker when public �. 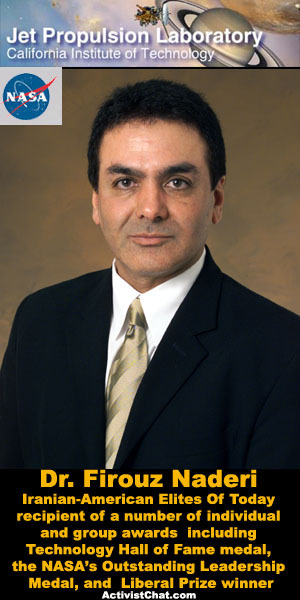 then review the following poems from Khayyam approximately 1000 years ago that are selected by Donn Allen, a graduate of Caltech who his interest in and deep admiration for Khayyam span approximately 45 years. What was Khayyam real understanding of Universe 1000 years ago and why our we have not progressed faster? Science fails to solve the mystery of the cosmos. The same unknowing dunce that once I was! Ah! wisdom forging newer iron chains. Time is only a tyrant causing universal change and trouble. A thousand tricks he juggles as he plays. He breaks the Dukes by day and Knights by night. And how we pine, their coming-in will cease. Omar is at war with the Sphere and wishes to annihilate it. Where love will cling to every freeman�s soul. But the final solution is that the tyrant Sphere has no real existence, hence we best avoid all trouble by being content. Aye hear me please, my old and dearest friend! To view how Wheel would play its turn-and-bend. Rolls impotently on as Thou or I." What was Khayyam vision of religion 1000 years ago? The moment when the Sun is positioned directly over the Earth's equator and, by extension, the apparent position of the Sun at that moment�see below. 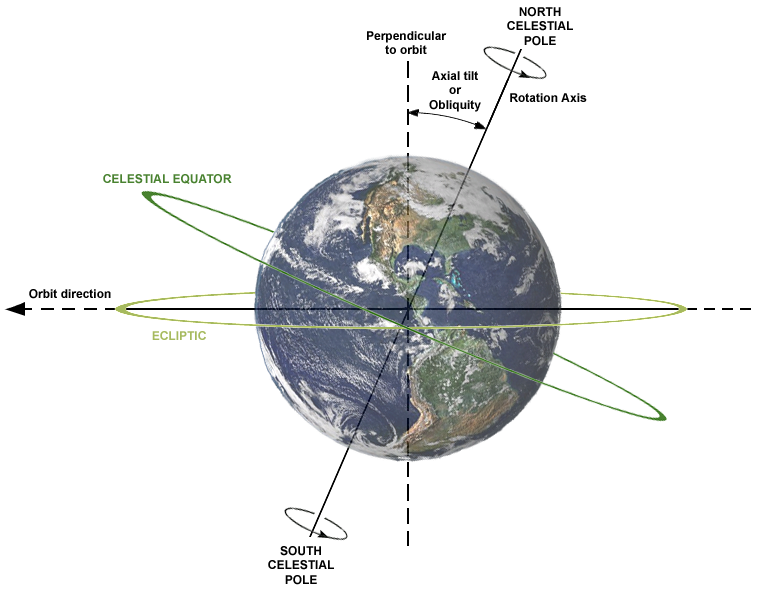 An equinox in astronomy is that moment in time (not a whole day) when the center of the Sun can be observed to be directly above the Earth's equator, occurring around March 20 and September 23 each year. Now How Big Are We When The Sun Become Just A Pixel In the Big Picture? Are We Feeling insignificant yet? And, how big are the things that will upset us today? Human Being Might Become Significant One Day If and When We Have Correct PERSPECTIVE, VISION, MISSION ... And Apply Our Destructive Power In Constructive Directions �. An ambient space documentary that I created, set to one of my favorite pieces of music: the 40 minute, 7 part "Chronos" by Michael Sterns. Note: These videos do not reflect the book by Clark or the album by Mike Oldfield! The earth will continue to regenerate its life sources only as long as we and all the peoples of the world do our part to conserve its natural resources. It is a responsibility which every human being shares. Energy problems have heightened our growing awareness of the interdependence of our natural resources. We must work together to solve the environmental issues associated with the proper use and preservation of those resources. Through voluntary action, each of us can join in building a productive land in harmony with nature. By a joint resolution, the Congress has pointed out the need to continue our environmental education and to promote a greater understanding of the environmental problems facing America. NOW, THEREFORE, I, GERALD R. FORD, President of the United States of America, do hereby proclaim Friday, March 21, 1975, as Earth Day. I call upon all concerned citizens and government officials to observe this day with appropriate ceremonies and activities. I ask that special attention be given to personal voluntary activities and educational efforts directed toward protecting and enhancing our lifegiving environment. IN WITNESS WHEREOF, I have hereunto set my hand this twentieth day of March, in the year of our Lord nineteen hundred seventy-five, and of the Independence of the United States of America the one hundred ninety-ninth. "The Earth Flag is my symbol of the task before us all. Only in the last quarter of my life have we come to know what it means to be custodians of the future of the Earth - to know that unless we care, unless we check the rapacious exploitations of our Earth and protect it, we are endangering the future of our children and our children's children. We did not know this before, except in little pieces. People knew that they had to take care of their own ... but it was not until we saw the picture of the Earth, from the Moon, that we realized how small and how helpless this planet is - something that we must hold in our arms and care for." The Earth Flag was designed in 1970 by Earth Day founder and pioneer John McConnell, an early leader in the international peace movement. Inspired by the striking first photographs of the whole Earth taken during America's historic Apollo 10 space mission in 1969, this symbolic creation attained immediate world-wide recognition, including a lifetime association with renowned anthropologist Margaret Mead. Dr. Mead carried what she called "the flag for all people" with her wherever she appeared from 1969 until her death in 1977. We are making available an authentic replica - a two-sided dye printed image of the Earth from space on a dark blue field, made from recyclable, weather-resistant polyester. The Earth Flag's striking global motif is at once simple and compelling. Its quiet message beckons beholders towards a deeper insight into the universal themes of unity and peace. The Earth Flag has been presented to U.S. Presidents, to foreign dignitaries, to leaders of the Russian and Chinese governments when early western hemisphere delegations visited these countries in the 1970's and 1980's, and is proudly waved at Earth Day celebrations throughout the world. The Earth Flag now flies as a matter of course in hundreds of American cities, as well as numerous countries in North and South America, in Europe, in Africa, in Asia and Japan. The Earth Flag is available in several sizes for both indoor and outdoor use. For quite some time Mr. Waxman at http://earthflag.net has supplied Earth Flags and T-shirts. There are other suppliers, and after a recent court decision no one has a copyright or trademark on the design. However, the traditional design of a space-based image of Earth against a dark-blue background has been followed faithfully by various suppliers. at EarthFlag.net just click below.